Literacy can be introduced into your child’s life from before the day he or she was born! 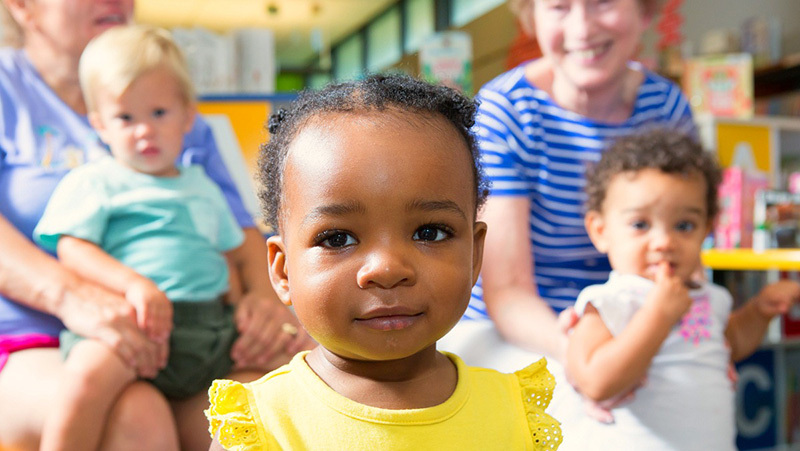 With our Baby Time story telling sessions at the library, your child will experience literature through interactive play, games, music, and more! Also during these unique storytelling sessions with your child, you will have the opportunity to get involved in assisting your child with the activities, which can also be played at home for a fun family learning activity. This program is encouraged for kids ages birth to 2 years. Caregivers and grandparents are welcome to bring older siblings if necessary. While Baby Time is an exciting, interactive activity for both kids and their adults, there are quite a lot of developmental benefits that stem from storytelling during adolescence. Through simple group activities, your child is learning fine motor skills, facial expressions, listening skills, and so much more. The National Association for Education of Young Children (NAEYC) says that reading aloud is important for children of all ages. Read this NAEYC article for more information about the additional benefits of storytelling. Also, if you would like to get your child involved in reading at home, check out this list of age-appropriate books for infants and toddlers. Various libraries in York County Libraries have weekly sessions of Baby Time. Visit our Events Calendar for the full county listing of Baby Time dates and times. Registration may/may not be required based on library.